# India (IND) v/s England (ENG). # Timing :- 03:30 pm [India] & 11:00 Am [England]. # Venue :- Trent Bridge, Nottinghamshire, England. # Weather Report :- According to weather Forecast ; Sky will be Clean with some Breeze & will be good Atmosphere for Test Match. # Pitch Report :- There is Green Track & Very much Friendly to Fast Bowers specially Seamers. This Pitch isn't an easy track to Bat on. * Eng. Leading this Test Series by 2-0 and want to Continue this Form. 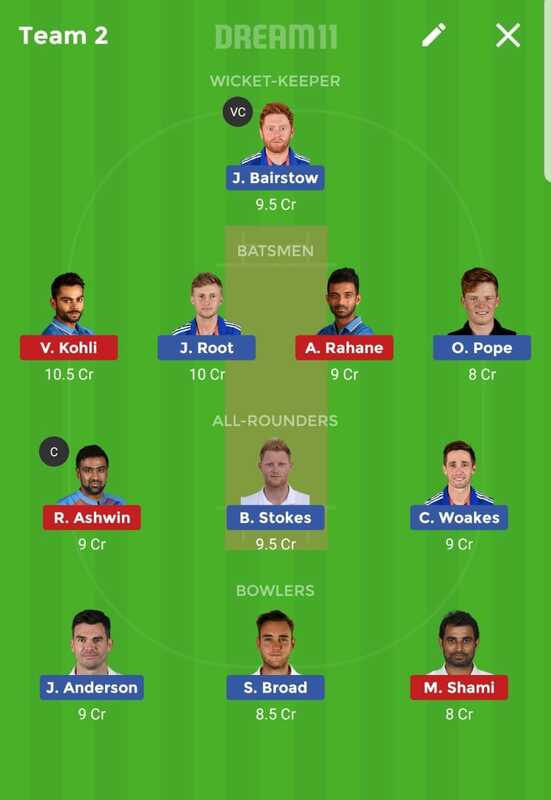 * Ben Stokes may replace Sam Curran in 3rd Test Match. * From Eng. Point of view ; Form of James Anderson & Joe Root is so much Important. * India loosing this Test match series by 0-2 and will try to Bounce back hard in this Match and Win this Test match. * From Team India point of view, Form of Virat Kohli, Ajinkya Rahane & Md. Shammi is very much Important. * In This Test Match, There is chance of Few change in Indian Squad due to Poor and inconsistent performance.